Atlus and SNK Playmore announced today that The King of Fighters XIV will be available on August 23 in North America for PlayStation 4. No release date was given for Europe. Additionally, for the week following launch, the Classic Kyo DLC costume will be available as a free download through the PlayStation Store. 3D Evolution – All 50 fighters, movesets and more are rendered in full 3D graphics that preserves the essence of KOF’s visual style but updates it with a whole new dimension. The Best Refinement since KOF ’98 – Through extensive playtesting and balancing, the controls have been streamlined, and the Combo and Max Mode mechanics have been overhauled to create the most competitive fighter in SNK’s history. The KOF Saga Continues – There’s a robust single-player storyline where several years have passed since the previous KOF tournament. Now a worldwide business, the global KOF will decide who is the strongest as both individuals and companies with their own ambitions have come to compete. Players compete against CPU-controlled opponents to unlock the storyline. The Best Roster Yet – There are 50 fighters total, with 31 returning from previous entries into the KOF series, and 19 brand new characters. All 50 characters will be available at the game’s launch. Revamped Online Experience – THE KING OF FIGHTERS XIV has devoted a lot of development time to improving the game’s netcode for vastly improved online gameplay. KOF XIV uses the PS4’s online architecture to have a whole host of online conveniences, from spectating to saving replay/battle data, and having a single online KOF XIV profile to connect with friends. 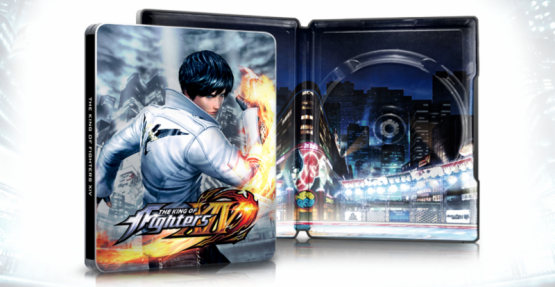 You can learn more about The King of Fighters XIV on the official website.